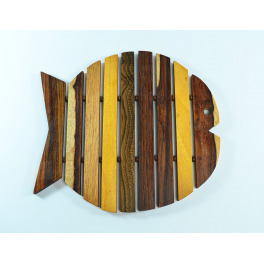 This trivet is made from a beautiful combination of natural Belizean hardwoods, providing a kitchen accessory that is both esthetically pleasing and functional. 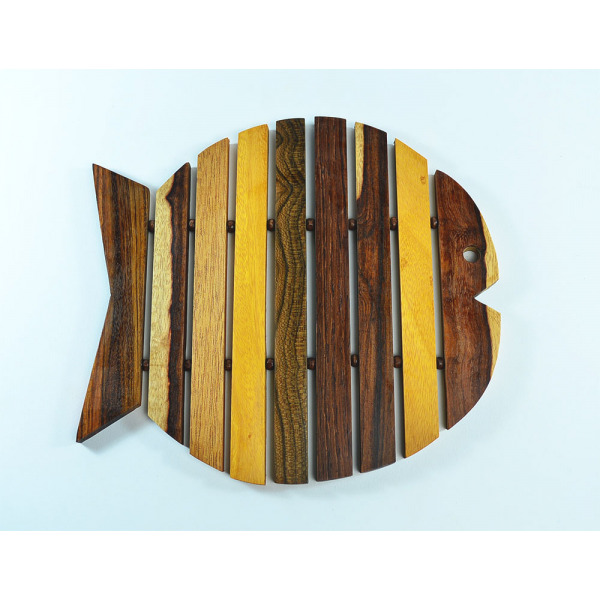 Fun, fish-shaped, multi-hardwood trivet will protect your table top while providing artistic enhancement to your setting. 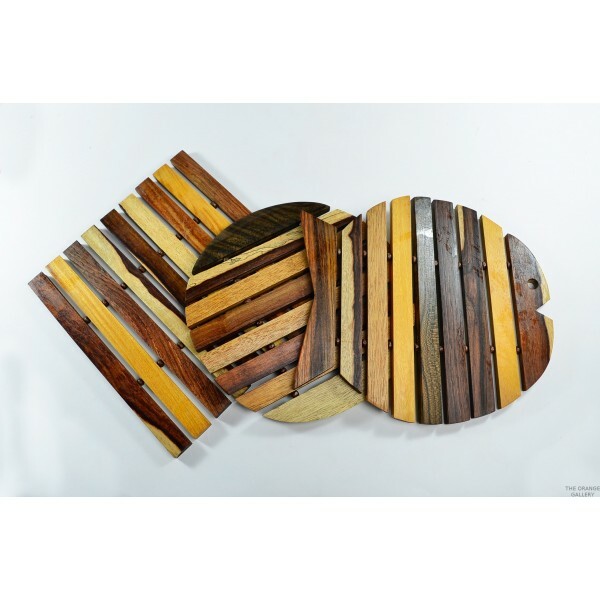 As with all handmade wood items, each one is a unique piece of art. The pattern of wood on your trivet may not be identical to the photograph. 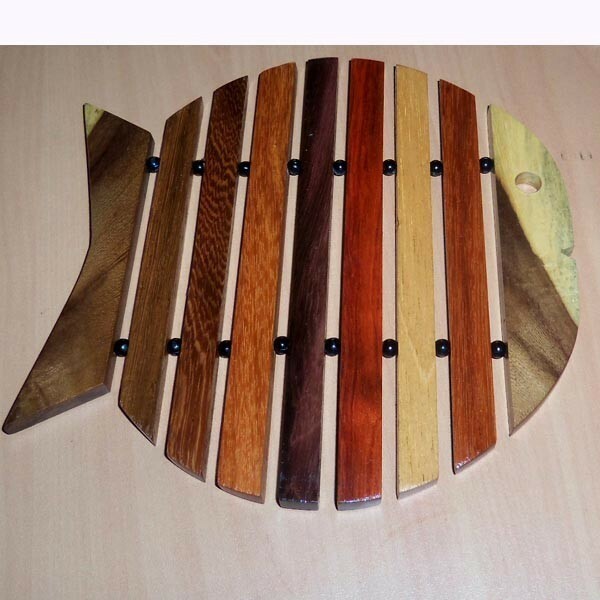 Assorted hardwoods made include: purpleheart, granadillo, hobillo, rosewood, manchiche (aka "Mayan walnut"), brown rosewood, guanacaste, and ziricote.